Already one year since I started this blog. Unbelievable . Do you love joe and the juice sandwiches? they are so good. I’ve made my own, it is made with this pesto, but like says in the title, without the cheese and without the nuts. 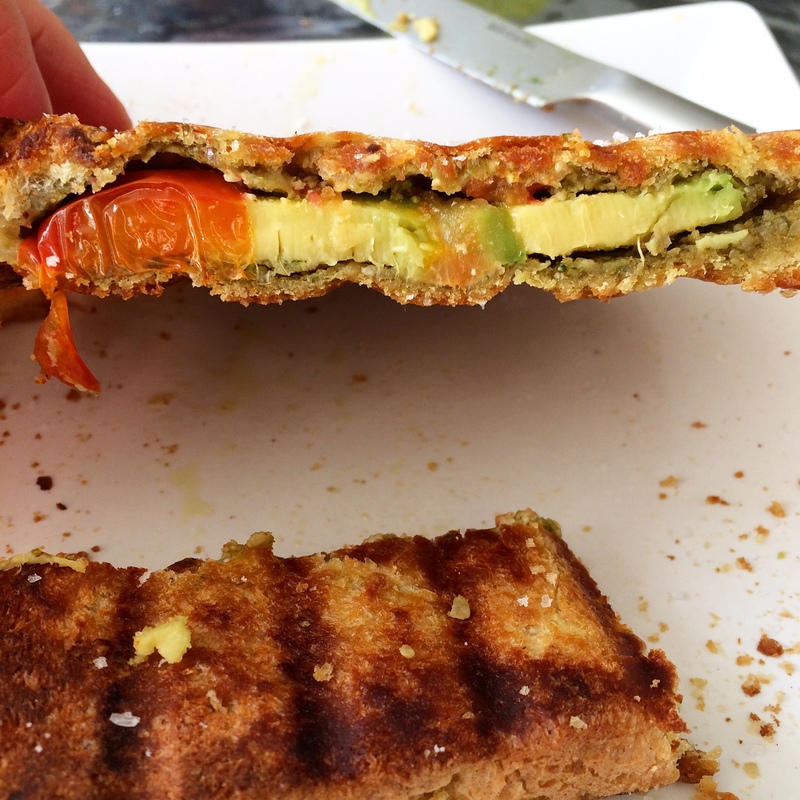 Take you favorite bread, spread pesto on both slices, add avocado slices, tomato slices. If you have a favorite vegan cheese you can add that to. Put in a Panini press or a sandwich press for couple of minutes. It’s ready. Olive oil have on hand 1 cup you might not need it all. Mix until everything is well combined. If you like your pesto a bit rough you can mix less. Thanks so much for all your support for this first year of OneTwoEat.com. If you like what you see please share the recipes so we can find more people who like my blog. I’m so thankful. Thank you all my followers and thank you new followers.